For developers and designers, cheat sheets offer essential help in providing quick reference guide. In my previous post, I listed 37 must-have cheat sheets for Web developers and Web designers. Nonetheless, I left out many more cheat sheets for other Web programming, scripting and markup languages, and for different frameworks and Web technologies, that is impossible to list. In this post, I will not give you another big collection of cheat sheets, but instead I will list the top 5 cheat-sheet Websites which are a great resource for developers and designers. No more wasting your time finding each cheat sheet in different Websites and tracking them down one-by-one. There are many Web directories available to download cheat sheets. Here are the best 5 cheat-sheet Websites. Each Website is a repository for free cheat sheets and quick reference guides. The W3C Cheat Sheet is an open source tool freely available for Web developers. 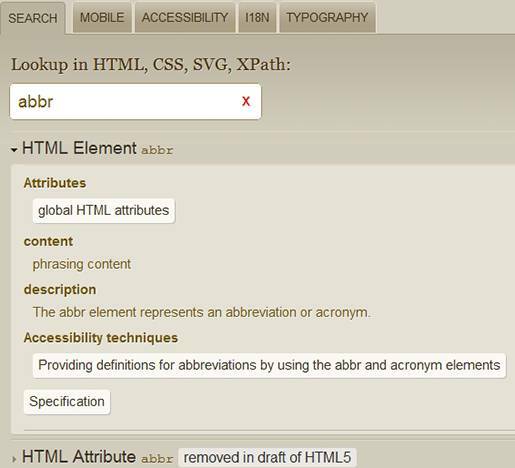 It provides quick access to useful information from a variety of specifications published by the W3C, the leading international Web standards community. 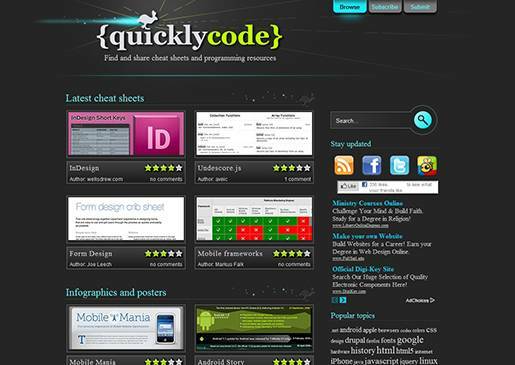 Summary: QuicklyCode is a collection of user submitted cheat sheets, infographics and other resources for programmers, developers and designers. 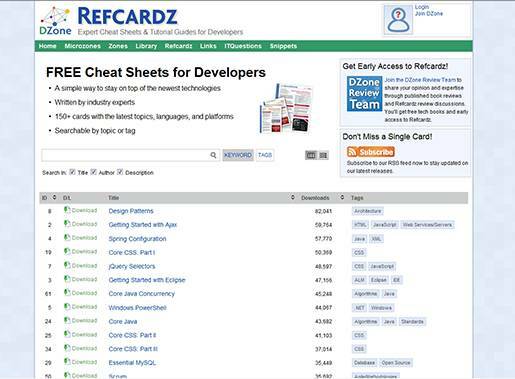 DZone Refcardz offers 150+ free cheat sheets and quick reference guides for developers and IT professionals, written by experts. User registration is required. 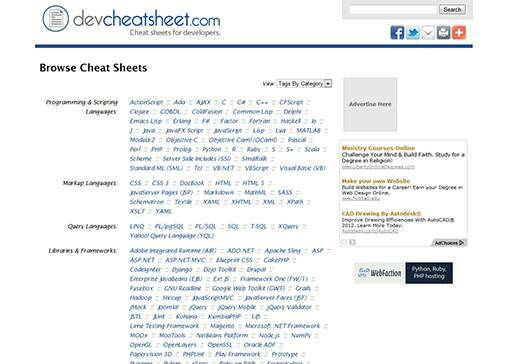 DevCheatSheet.com is a directory of free, technical cheat sheets and quick reference cards for developers, programmers and engineers. Cheat sheets are aggregated from around the Web into one centralized directory. The directory contains 1,965 cheat sheets. Note: There are a lot of broken links in Devcheatsheet, but still the majority are very useful. 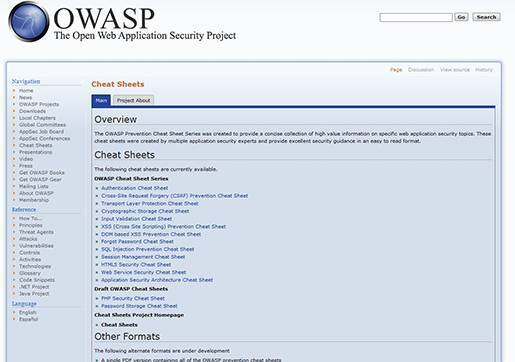 The OWASP prevention cheat sheet series was created to provide a concise collection of high value information on specific Web application security topics and provide excellent security guidance in an easy to read format. In this post I discussed the 5 top repository cheat sheets for developers and designers, and I am confident that at least one will meet your needs. If you have something to say, please share your opinion in the comments section below. Your opinion matters, unless it is a Spam. 60 queries in 0.303 seconds.